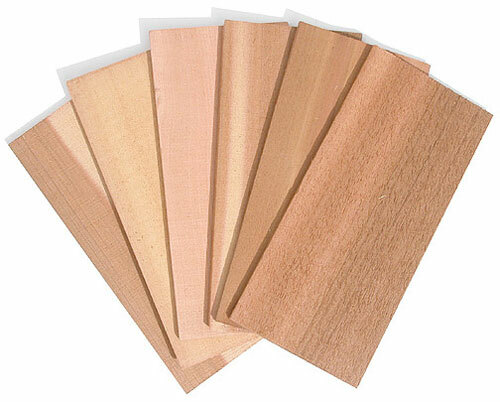 Cedar Grilling Planks, 12" x 5", perfect for grilling Salmon, Pork, Vegetables and much more. A native American technique that is the hottest thing in grilling this season. Use any of our dry rubs to enhance the flavor of your ingredients (Mediterranean Rub, Quebec Steak Seasoning, Chesapeake Rub and Thai Rub are our most popular). Our smoked sea salts are also a wonderful enhancement. You can create rich flavors with this set of cedar grilling planks. Just one plank is large enough for two servings of food. Add an extra plank or two if you're cooking for larger groups. It works on both gas or charcoal barbecues. Just soak the planks in water first to help prevent them from splitting as they heat up. The bottom and sides of the plank will become blackened as your food grills; just toss the plank after grilling and use another one the next time. Not intended for indoor use. Package of 6 planks, recipes included.